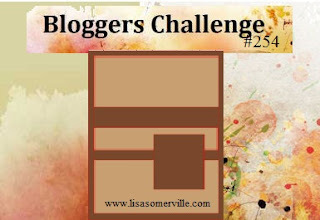 Designs by Lisa Somerville: Bloggers Challenge - Sketch Challenge! Bloggers Challenge - Sketch Challenge! Happy Bloggers Challenge Friday! Thanks to those who played along with last weeks Bloggers Challenge Color Challenge, there were so many striking entries! This weeks Challenge is a favorite of many - it's a Sketch! Feel free to rotate the sketch or change out the square for another shape. beautiful card, love the papers and that image is very cute. Love the sentiment stamped on the strip. Great card! perfect bg paper for that set! Wonderful card! The G-45 paper is a perfect background for the flying gentleman! Happy Friday! Great challenge this week and I love your card. Very nice take on your sketch, Lisa. Wonderful card!! Love the colors and the images, very rich!!! I hope to play this time! Beautiful golden tones! lovely use of the sketch and the Charles and Amelia images! Love this Lisa. Love the colors and that background paper. Are the planes on the paper or did you add them?